Does the thought of getting into a dental chair fill you with fear? If so, you’re certainly not alone. We recognize that your fear and discomfort are real, and will do everything we can to ease your anxiety. Our entire staff works together to ensure our patients are as comfortable as possible. We do our best to create a welcoming atmosphere where you can feel relaxed and stress-free. After all, we’ve developed close relationships with our patients over the years, and we want to ensure they feel at home every time they come in for a visit. Our entire team works hard to create an inviting, relaxed environment. Providing high quality dental care for our patients by using advanced materials for all our dental work helps ensure optimal results for every patient. We use advanced equipment to help us better diagnose and treat a variety of conditions. At our office, our team members are passionate about their work and about offering their patients expert dentistry in a gentle, caring environment. Patients respond to our enthusiastic personalities and unique ability to make them feel comfortable. We genuinely care about our patients. Every interaction is friendly and gentle, and the needs of our patients always come first. It’s an approach that sets us apart, giving us that “special something” that attracts people to our office – and keeps them coming back. Dr. Dixit’s patient and caring personality is a big part of our appeal. He loves his work, and helping people maintain healthy, fabulous smiles gives him tremendous satisfaction. Thank you to all our loyal patients for your great referrals. You pay us the highest compliment. Looking for a new dentist? We’re accepting new patients! Take a look at our approach to see if our practice is right for you. At our office, you aren’t just a patient. You’re a person, one with a unique personality, history and needs. Our approach takes that individuality into account; every visit and treatment plan is tailored to you. We establish relationships with our patients to foster trust, confidence and a sense of partnership in solving your dental problems. Our approach doesn’t just focus on solving dental problems. It works on preventing them. By preventing problems instead of simply reacting to them, our patients experience better health and results that look better and last longer. New patients are always welcome. Please do not hesitate to contact our staff to book your first appointment. Many people are afraid and nervous when it comes to the thought of visiting their dentist. At our office we strive to change this and help you feel more comfortable and relaxed while having your treatment done. Beyond the gentle hands and advanced equipment, we also pay attention to the subtle things like using dental chairs that massage, wall mounted televisions, calm music and natural sunlight. These are just a few of the thoughtful “extras” that will make your experience here a pleasure. 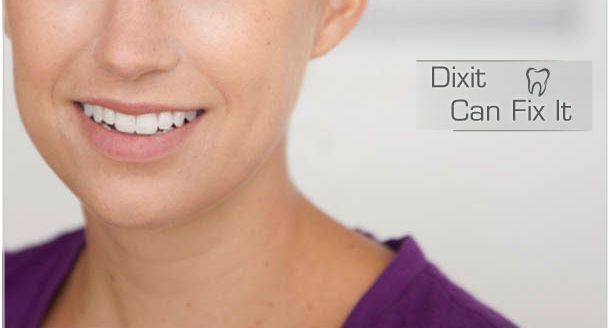 The friendly and professional team behind Dr. Dixit strives to make you feel comfortable and relaxed with every visit.